Forest of Dean runners tackled two very different events over the past week. In the first of these, Simon Dimmer completed his second Marathon des Sables in Morocco. The Marathon des Sables (MdS, Marathon of the Sands, or Sahara Marathon) is a six-day, 251 km (156 mi) ultramarathon, which is the equivalent of six regular marathons. The longest single stage (2009) is 91 km (57 mi) long. It is considered the toughest foot race on Earth. The first running took place in 1986, making this the 30th event. Simon completed the run in a total of 56h 02m o2s. Other runners included explorer Sir Ranulph Fiennes. Much nearer home, three FODAC athletes took part in the Brighton Marathon. Julian Boon achieved his long-held ambition to run a marathon in under 3:15, finishing in 3:09:47. Neville Turner competed in 4:22:12 and Sheralyn Turner in 5:45:31. 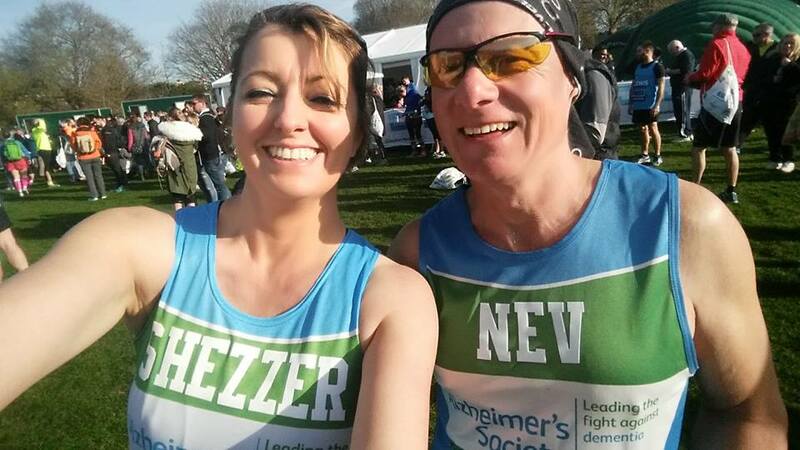 They are running to raise money for the Alzheimer’s Society.